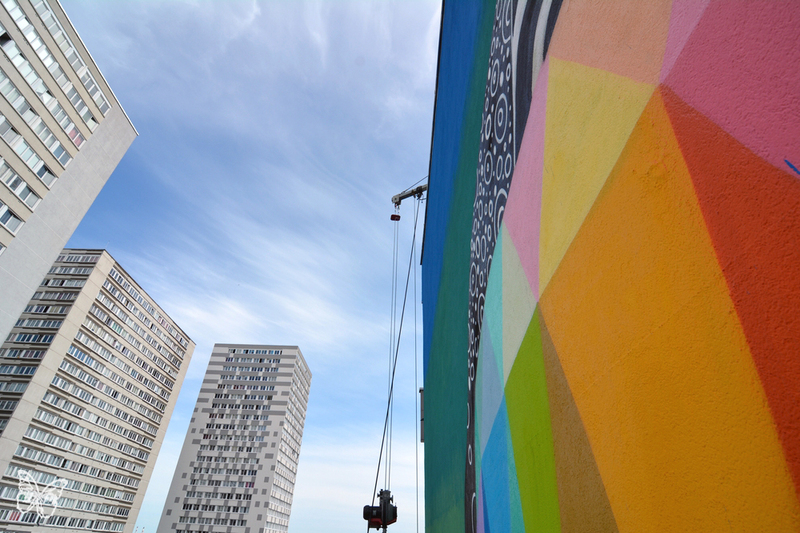 Spanish artist Okuda is brightening up a nineteen storey building in Paris by giving it a contemporary makeover with a revisited portrait of Mona Lisa. 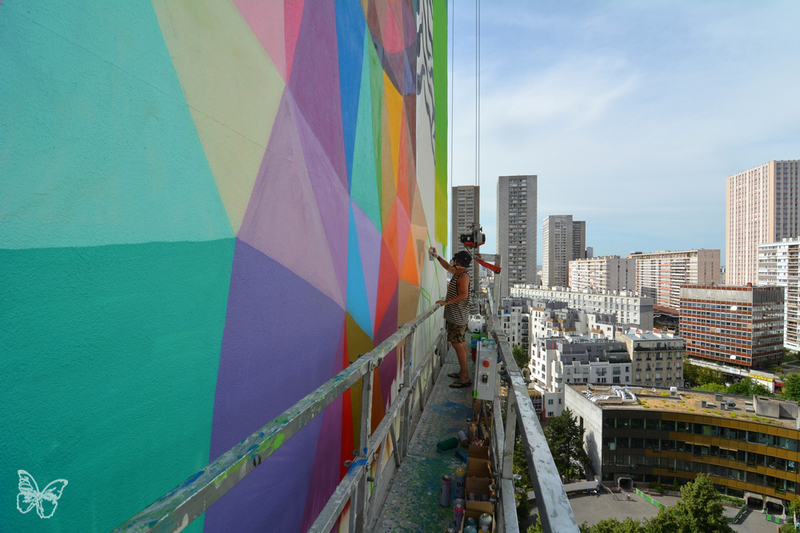 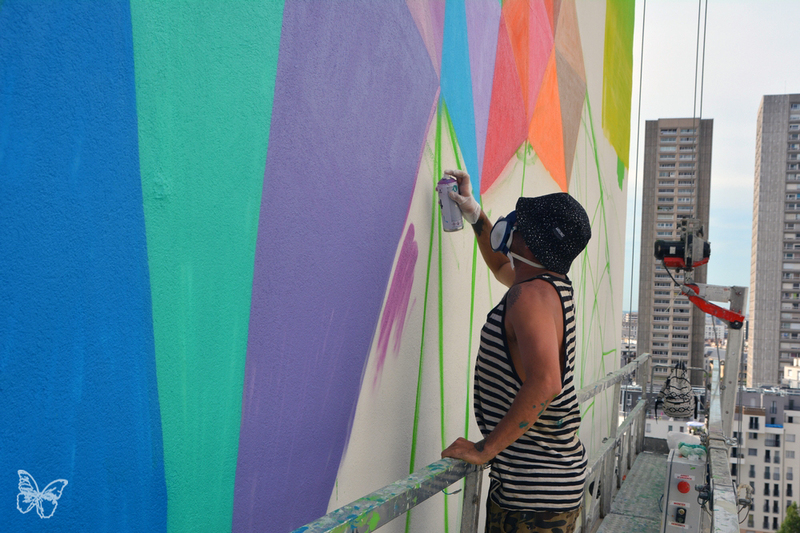 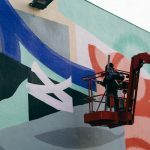 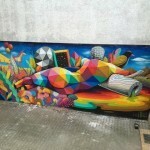 Using more than 450 spraycans, Okuda painted one of Europe’s tallest murals at 50 metres (164 feet) high by 15 meters wide during less than five days. 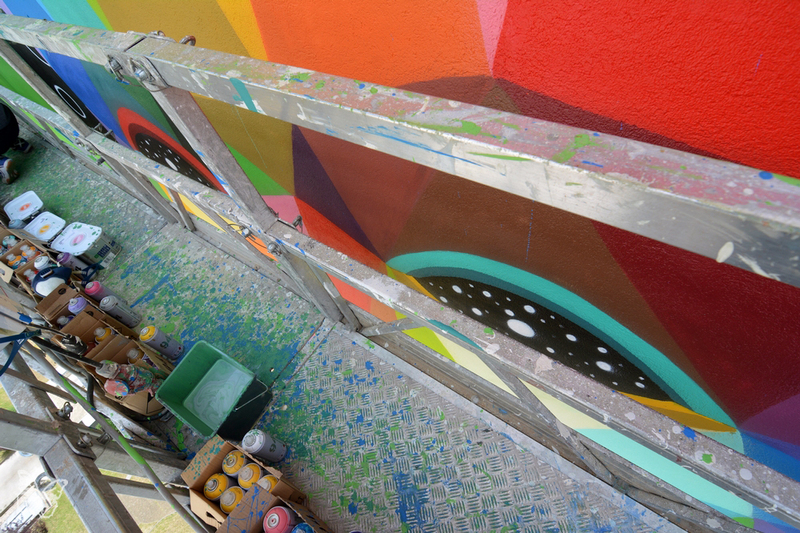 Check after the jump for more details and pics of the work in progress. 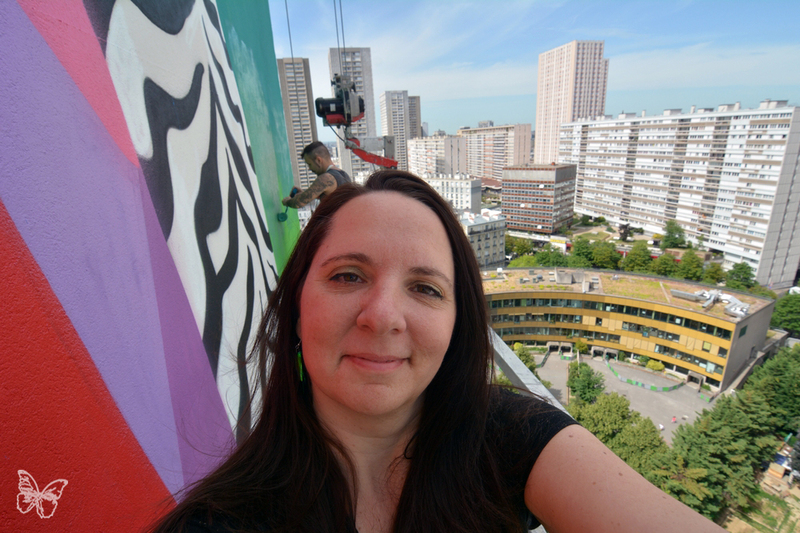 The City of Paris and Mona Lisa are intricately linked, so it was a natural choice’. 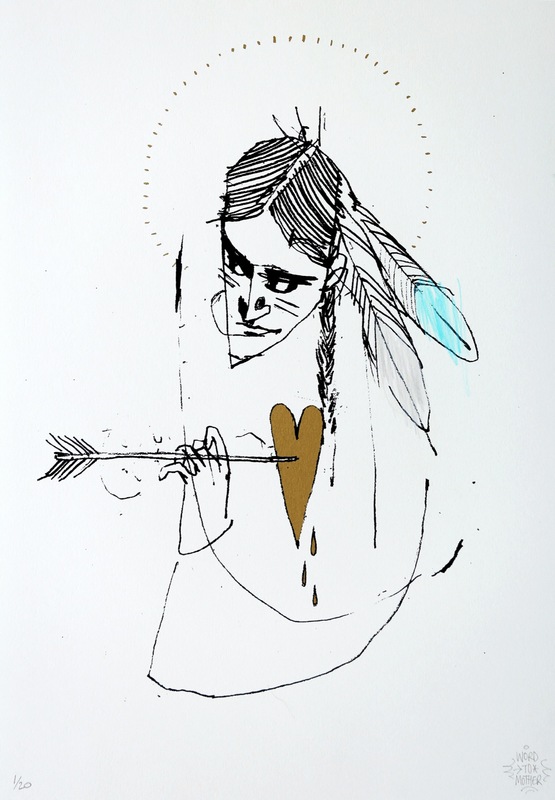 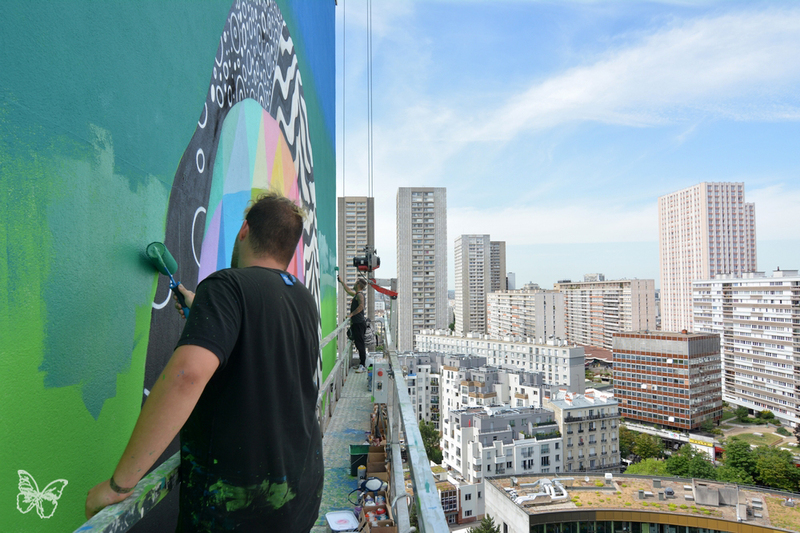 The street artist wanted to pay tribute to the French culture and to the iconic portrait at the Musee du Louvre. 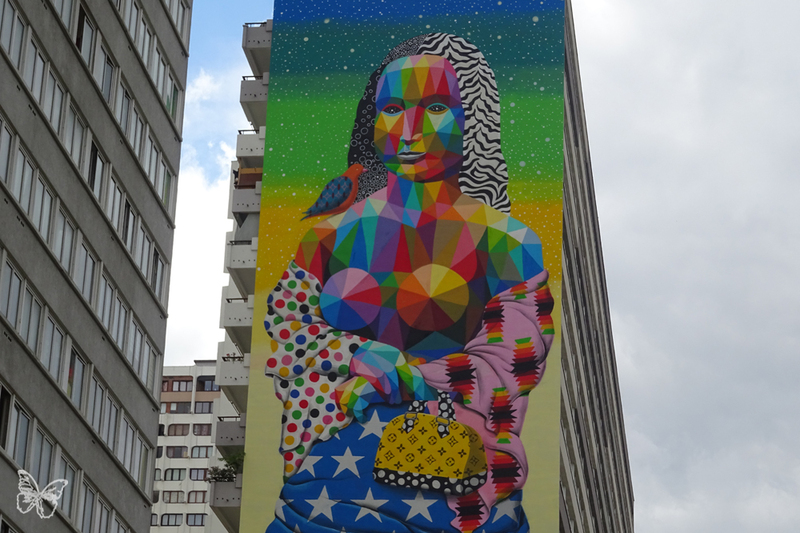 With zebra hair and a rainbow cubic face, the reinterpretation of Leonardo da Vinci’s masterpiece, also known as La Gioconda, depicts a standing woman in a starry sunset, with a bird on her shoulder and carrying a handbag. 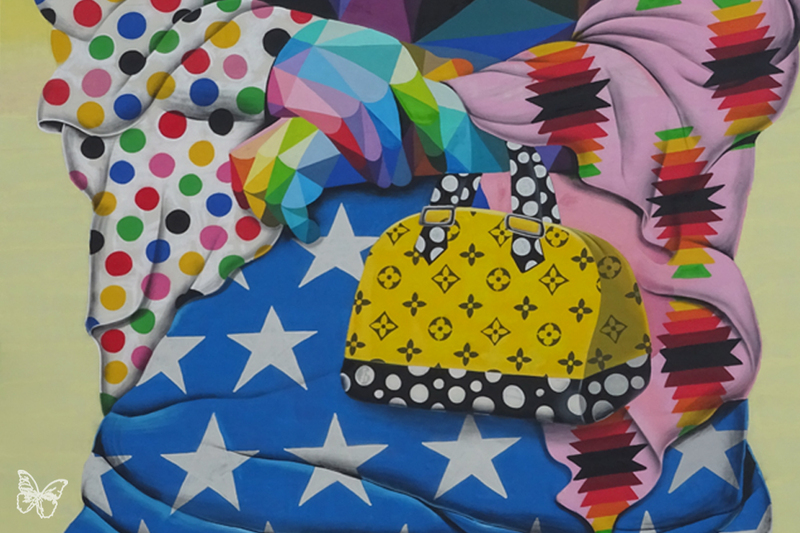 The handbag is decorated with repetitive patterns, reminiscent of a famous French luxury brand, as a nod to Paris as capital of Luxe and Fashion. 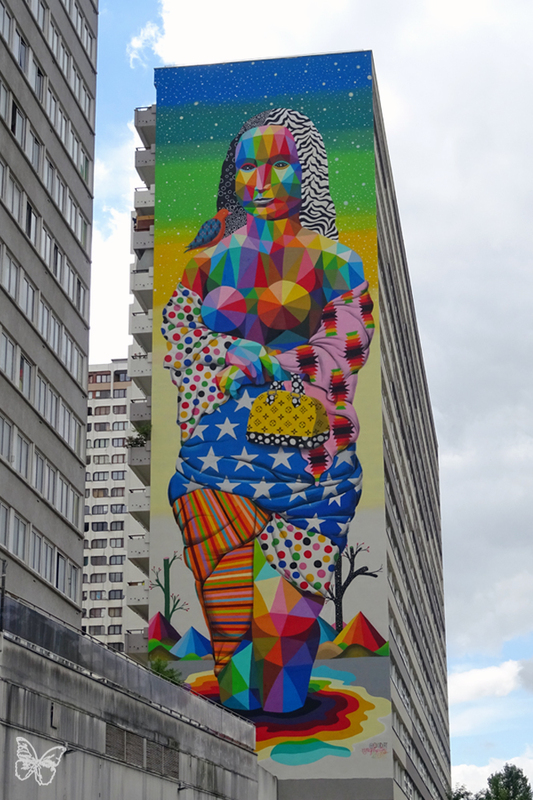 The multi-cultural-skinned woman is illustrated by different types of colourful fabric from dots, stripes and stars like different parts of the world. 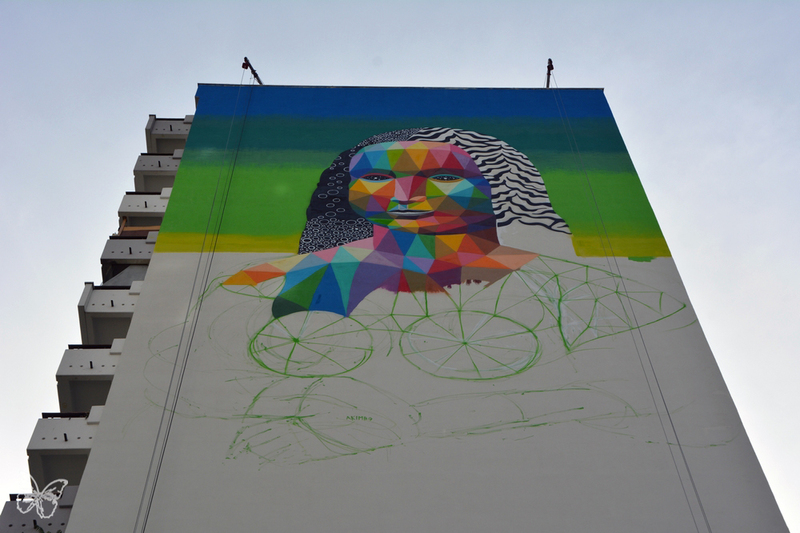 While we have seen many reinterpretations of this famous portrait, it is also very unusual to see the Gioconda standing, we discover here the rest of her body with curvy shapes, standing in rainbow waters. 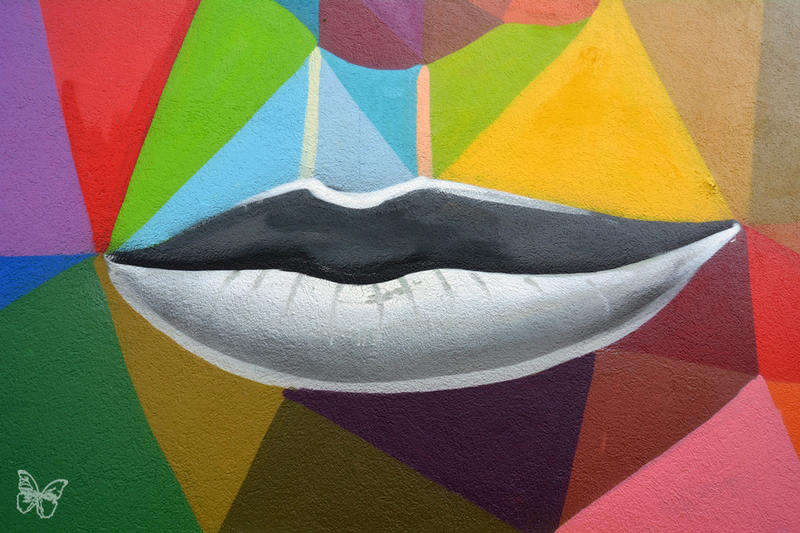 This modern colourful portrait celebrates Paris with culture, luxe and fashion but also its population from a multicultural background and diversity. 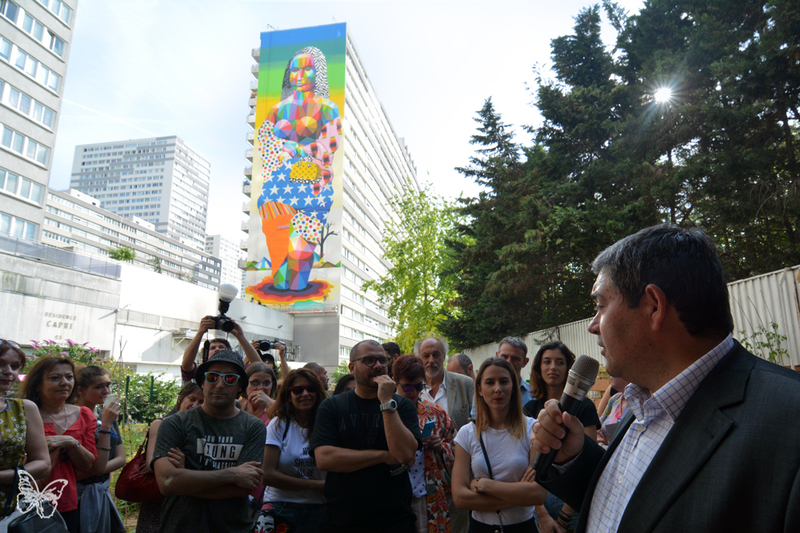 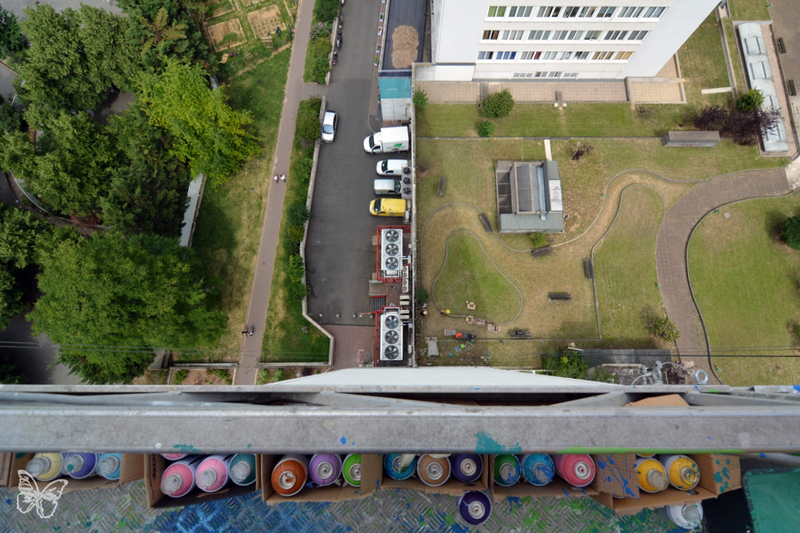 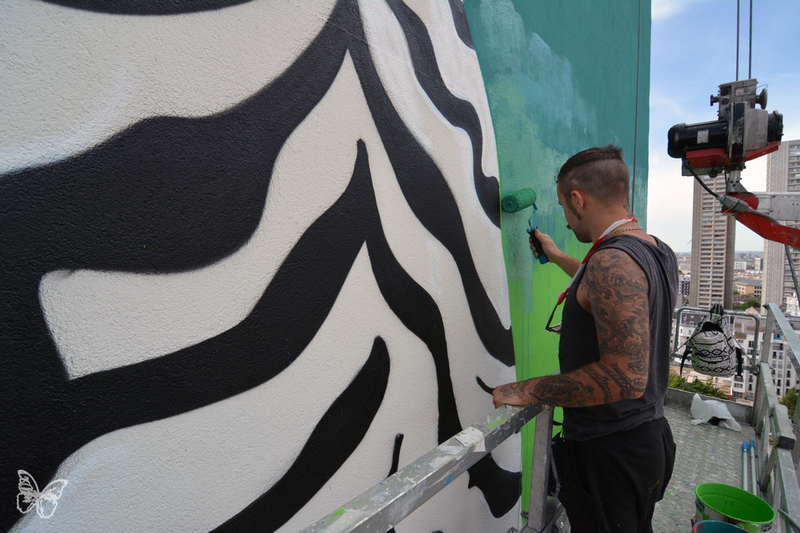 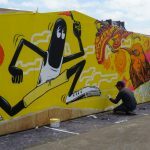 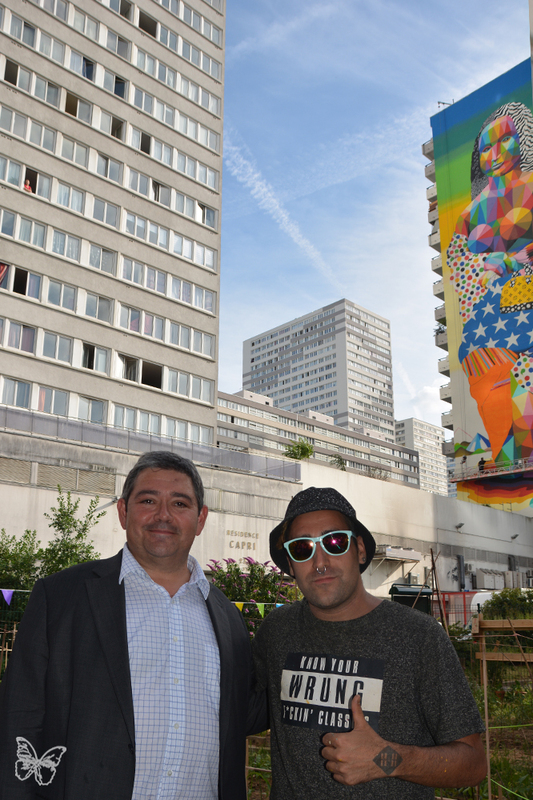 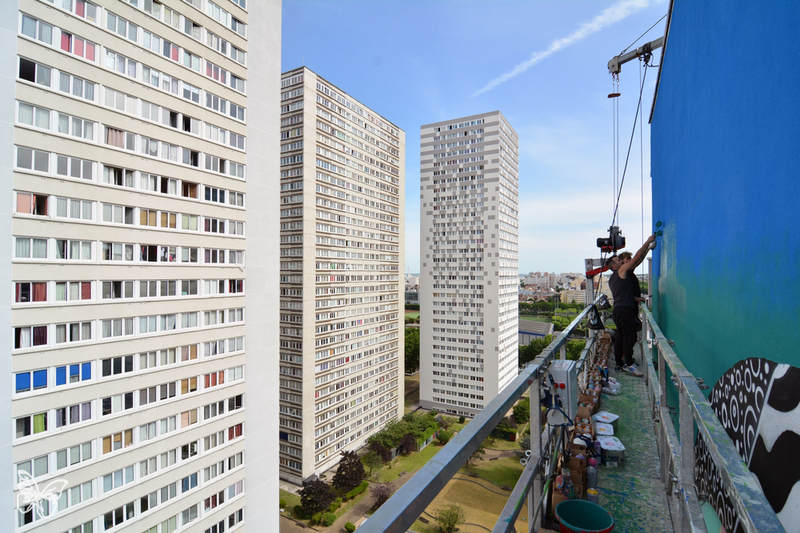 The project in collaboration with By Night Gallery and Ink and Movement was inaugurated by Jerome Coumet, Major of the XXIII District in presence of many local residents.